Lose yourself in Jane Austen’s most romantic comedy, Persuasion or watch the multi-layered masterpiece exploring friendship, rivalry and heartache in Alan Bennett’s The Habit of Art this October. 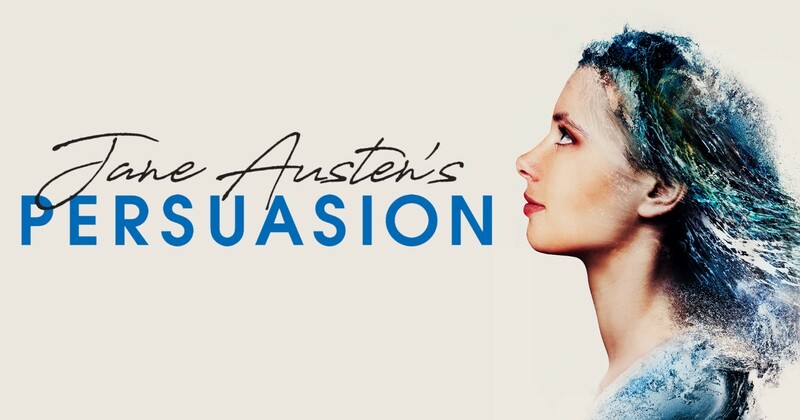 Persuasion is a beautiful, witty and wonderfully emotional production from the producers of Gabriel, the award-winning Theatre6. Anne Elliot was young and in love. Swept off her feet by the dashing but poor naval officer, Captain Wentworth, she devastatingly rejects his marriage proposal because of her selfish society-obsessed family. Several years later and Wentworth has returned from sea. Will a chance encounter lead Anne back to her true love, or to a life forever alone? Alan Bennett is one our greatest and most celebrated playwrights, with a cavalcade of stage and screen blockbusters including The History Boys, The Madness of King George and Talking Heads. In The Habit of Art, Bennet gives us a play about a meeting between the poet WH Auden and the composer Benjamin Britten. This multi layered masterpiece examines the joy, pain and emotional cost of creativity. Directed by Philip Franks, this marks the first ever revival of the play and stars the Olivier Award winning Matthew Kelly (Twelfth Night at the Everyman), David Yelland (Chariots of Fire and The Crown) and Veronica Roberts (Peak Practice and Tenko).